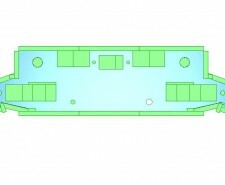 Frequently asked questions concerning the use of sheet metal materials, design and manufacturing. We have collected together a range of the frequently asked questions from our customers when looking at new sheet metal fabrication and sheet metal work design projects. We have listed some of the questions below and our answers, we hope they aid you when looking at your new sheet metal work design. If you cannot find the answer you want please give us a call and we will be happy to help you in more detail. What grade of aluminium should I specify for my sheet metal component? There are 3 main commercial grades of aluminium that we would manufacture your components from, they are 1050a, 5251 and 5005. The 1050a grade is used where a component needs only moderate strength and is not going to be anodised. 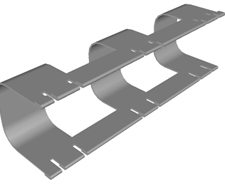 It is ideal for components that need a lot of bending as it’s very ductile and it has excellent corrosion resistance. 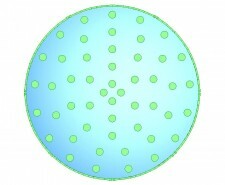 The 5251 grade has a medium strength and can be anodised. It work hardens rapidly and can show signs of cracking on tight bends or safe edge bends. 5251 aluminium has a high corrosion resistance making it particularly useful in marine applications. The 5005 grade is mainly used for components that need to have a decorative, high quality anodised surface finish such as electronic component front panels. All 3 aluminium grades can be welded and painted. Please have a look at our design data section where we have more data on these materials and their uses, treatments and finishes. What grade of stainless steel should I specify for my sheet metal component? There are 3 main commercial grades of stainless steel that we would manufacture your components from, they are 316, 304 and 430. The 316 grade of stainless steel is used where a superior corrosion resistance is needed e.g. the marine industry. The material is more expensive that either 304 or 430 stainless steels and therefore need only be specified when using in an external environment or where corrosion resistance above that of 304 is required. The 304 grade of stainless steel is a good commercial grade used in most applications. It also has excellent corrosion resistance if not quite to the level of 316 it is still suitable for many applications and is cheaper than 316. The 430 grade of stainless steel is the cheapest grade detailed here and has similar properties to 304 but has the ability to attract magnets. All 3 stainless steel grade can be welded and painted. 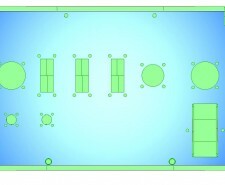 How thick can you CNC punch sheet metal work? We can CNC punch different sheet metal materials to different thicknesses as the thickness we can CNC punch is a function of the force needed to cut that particular sheet material. So, we can punch holes in thicker aluminium sheet than we can punch in stainless steel sheet. To avoid any confusion and the complexity of calculating the tonnage for every single sheet metal component we may quote we have a rule of thumb, 3mm on stainless steel, 4mm in mild steel and 5mm in aluminium. For a specific sheet metal part you have in mind please ask our engineering team and we will calculate whether it can be CNC punched or whether it would be better suited to CNC laser cutting. What sheet metal materials can you weld? We can weld, using Tig (tungsten inert gas), Mig (metal insert gas) and gas welding mild steel, zintec, galvanised steel, stainless steel, brass and aluminium. What sheet metal materials can you spot weld? We can spot weld mild steel, zintec, galvanised steel and stainless steel. 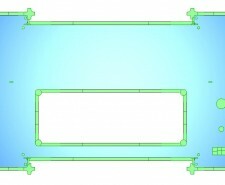 How big can I make one piece of sheet metal work? We have the ability to guillotine, CNC punch using our Trumpf CNC punch presses and CNC bend up to 2.5M in length. We are able to work with larger sheet metal components when they are fabricated from several parts but in general 2.5M is our limit. How deep can you fold a 4 sided sheet metal box without welding? With our Trumpf 7036 press brakes, Edwards Pearson PR3 and PR6 press brakes we can fold a 4 sided box that has sides 150mm deep. This is measured as a cube 150mm wide by 150mm long on the base and 150mm deep on the sides. 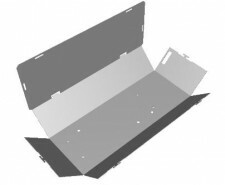 If you want a sheet metal box deeper than this we can fold 2 sides up from the box base and spot weld, rivet or fully weld the other sides in place. Special tools can be used in some cases so it’s always worth calling us to see what can be achieved for your sheet metal work designs. What size of bends can you form? The dimensions of the most standard bend forms are dependent on the sheet metal material type, sheet gauge, and overall component length. 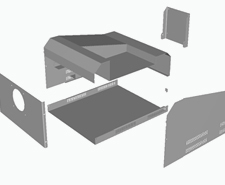 We have a section within our sheet metal design data pages on the website to guide you when thinking about your new sheet metal design. They can only be a guide to the basic forms and the smallest dimensions that can be achieved with our standard CNC press brake tooling. If you have a particular need that is not met by our standard tooling then please contact our engineering team to discuss your design further with the possibility of special tooling. What’s the largest hole you can punch in sheet metal? If the hole has to be a single clean hit then in our Trumpf 200 and Trumpf 3000 CNC punch presses the largest hole diameter is 76.2mm. When a hole larger than this is required we can either nibble it out with a series of overlapping holes on a short pitch or use a tool shaped like a banana. The radius of the banana tool can be produced to match the diameter of the hole required producing a clean cut out edge to the hole. With rectangular holes the largest single cut out our Trumpf punch presses can produce is 76.2mm, measured across the diagonal. 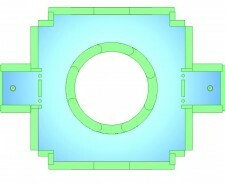 For larger window cut outs we would use a series of overlapping standard rectangular tools to create the correct window dimensions. 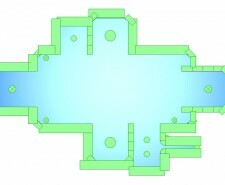 Why should we buy CNC punch tooling for a special shape? 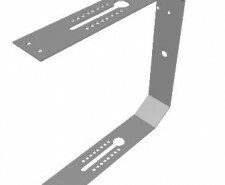 It is true that we can CNC punch very complex internal cut outs and external profiles with our extensive range of standard tooling directly into your sheet metal components. For many components this is more that acceptable as the quantities may be low, the part design may often be changing or the part may have a short life in production. If however, several CNC punching operations can be removed and replaced by 1 operation then considerable cost savings can be achieved for the sheet metal component. It is always worth asking our programming team to have a look at the options for you to see where the cost break point is and whether it’s worth purchasing a CNC punch tool for your particular design needs. Can you punch more than one sheet at a time? The general answer to this is no if you want a good quality sheet metal component. Some very thin reflector aluminium e.g. 0.4mm thick may be punched 2 sheets at a time but again the results are not as good as punching 1 sheet at a time. What are the advantages of barrel de-burring a component? Most of the sheet metal parts we produce will either have no de-burring on their edges, if that is what the customer has asked for or they will have a simple edge de-burr operation with a range of vertical de-burring belt machine. If the sheet metal parts are fairly small they may be barrel de-burred. This manufacturing process has the advantage of removing burrs from the outer profile and any internal cut outs as well as being a cost effective process. Why do you sometimes “muti-bend” curved parts on the press brakes? 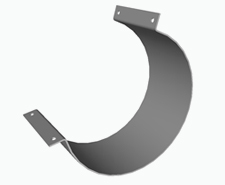 With curved sheet metal sections we have several manufacturing options we can use to produce the finished part. We can roll the sheet into a curve if it is not too long or too thick. 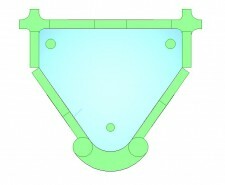 We can construct a form tool which can be used if there are to be higher volumes of parts to be manufactured. We can also program our CNC press brakes to simulate the curve with a series of short flat sections. These sections can be adjusted to give the best compromise between the look of the finished components and the cost of the process. What are the lines sometimes seen on the surface of a component parallel to a bend? When we use a standard upper V blade and lower V die the material is supported over the V die and pressed in by the V blade. As the material is bent down it travels over the V block and can have a mark where it is initially pinched before it’s bent. 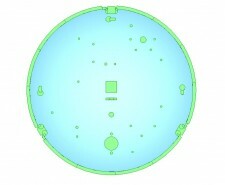 To help combat these marks some materials can be sourced with a protective plastic peelable film on their surface. We can also use a protective plastic strip on the V block tooling to reduce tooling marks in manufacturing. It’s always worth mentioning this at the quoting stage so we can be sure to take account of your needs and produce the correct finish on the parts that you require. What can be done if I want an invisible weld joint? If the part is to be painted then the action of welding and then cleaning off the excess weld will produce a joint that will be hidden by either stove enamel or powder coating finishing processes. If the part is to be manufactured from stainless steel and not painted then one option is to have the welds cleaned up and polished. The polished surface can be bright and mirror like or have a grained effect added. These finishes are often used where a good cosmetic finish is required or in the food, pharmaceutical and medical industries. Can I have scratch free sheet metal components? Yes, with some sheet metal materials. All grades of aluminium and stainless steel can be sourced with a protective plastic peelable film on either one side or both sides of the sheet, know as PC1 or PC2. These plastic films on the sheet metal do help to reduce the chances of damage in handing in a manufacturing work shop environment. 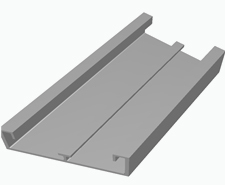 Unfortunately sheet metal work manufactured from mild steel, zintec and galvanised steels do not have this option available. Can I have a stud or standoff in a front panel without any witness on the front face? With standard self clinch studs, even if the front panel is painted there will still be a witness where the stud’s head is pressed into the sheet metal surface. With wet spraying the witness can be filled and rubbed down prior to painting. This can be a lengthy process and does add to the cost of the painting. Filler cannot by used with powder coating and the stud head witness will be seen. An alternative manufacturing process is to apply the stud with a stud welding machine on the rear of the panel. This removes the need to punch the hole and press in the stud from the presentation face of the sheet. 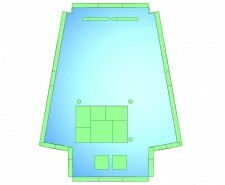 Please see our design data pages and CNC punching and CNC bending tooling information for more specific information.